I am very impressed with the kind of technology on display at the expo. It is a very good opportunity to come together and develop cost-effective, sensible and low-key solutions for our country. Having said that, we need to also remember that when resourcestrapped, we would like to have top-most and high-end solutions, but these high-end solutions are not always optimal solutions. This is where we would require custom-built ideas which suit our country more. 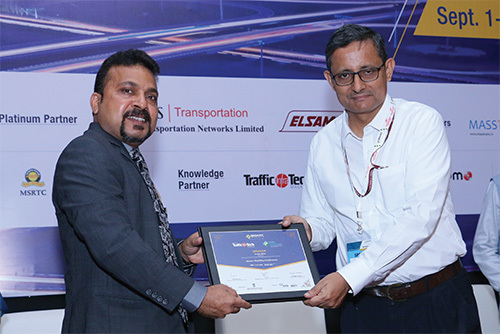 Sanjay Mitra, Secretary, Ministry of Road Transport & Highways (MoRTH) mesmerized the delegates with his Chief Guest’s address on the inaugural day at the seminar that discussed Smart Roads and Highways. Reason? He spoke straight from heart. He made many announcements too. Read on. The Ministry of Road Transport & Highways (MoRTH) is going to throw up many business opportunities. We have taken several initiatives in the last few years that will impact the road users. 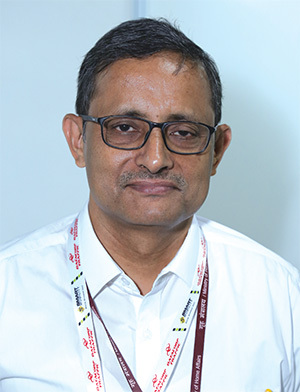 Increasing emphasis on road safety and a very comprehensive set of amendments in the Motor Vehicles Act, particularly relating to enforcement and road safety issues, are two of them. The latter is now in the parliament. In the changing emphasis from highway construction to highway operations, great importance is now given to the ‘Look East and Act Eat’ policy which will firm up India-Bangladesh-Nepal and India-Myanmar-Thailand routes that will impact trade positively and ensure seamless travel among these countries. The ministry has also taken initiatives to ensure seamless inter-state travel which will be built on the GST initiatives. We are ear-marking 1% of the project cost on every sanctioned project for road safety. It is a very big step and all exhibitors and visitors should try to take advantage of this dispensation. Recently, Nitin Gadkari, Honourable Minister for Road Transport & Highways, held a meeting of all the regional officers of NHAI in the ministry and the states regarding road safety. We have delegated power to up to `500 billion, i.e; up to $ 50Cr, to our regional offices for taking up work on Road Safety. Road Safety works involve many complex engineering solutions but they could also often involve very simple behavioural aspects. In the ministry itself, we have earmarked `600Cr for this purpose and have invited proposals from the state governments. Our focus is on Black-Spot mitigation; the ministry has collected a set of 780 black-spots and we seriously intend to rectify all of them in the next few years, except for the ones that require long-term solutions like a flyover or a FOB. We are aware that a large number of fatalities take place particularly on the roads in the hilly areas, especially in the Himalayan states like Himachal Pradesh, Jammu & Kashmir and Uttarakhand. It is difficult for the vehicles to turn on some of the precarious roads in these areas; they often make a few attempts and sometimes need to reverse on a slope to be able to move ahead. So, MoRTH is going to take up a major programme for crash barriers on such roads. For rural roads, the Pradhan Mantri Gramin Sadak Yojana (PMGSY) has an app ‘meri sadak’ which is reasonably popular but we do not have something of similar kind for the highway sector. I urge technology providers to work in this direction. I am very impressed with the kind of technology on display at this expo. It is a very good opportunity to come together and develop cost-effective, sensible and low-key solutions for our country. Having said that, we need to also remember that when resource-strapped, we would like to have top-most and high-end solutions, but these high-end solutions are not always optimal solutions. This is where we would require custom-built ideas which suit our country more. Hence, I would like to tell here today that we are in the midst of developing national standards for crash barriers. A major amendment is being carried out in the Central Motor Vehicles Act. Nearly 68 of the 200 sections are being amended. This is one of the biggest amendments after 1988 when the acts were promulgated. It focuses mainly on road safety, very stiff penalties for drunken driving, over-speeding, lane jumping and dangerous driving. All of these are essentially enforcement issues, and we know from our experience that enforcement is best when not subjective because it raises other issues and has huge public implications. At the TrafficInfraTech Expo, I saw products on display that can help reduce the subjectivity of the enforcement officials to a substantial extent, and also ensure that the traffic offences are adequately investigated, recorded and taken forward to a logical conclusion in the courts of law. MoRTH is also aiming to set up a National Register of Driving License and Vehicle Registration documents. We want the States to develop database that can seamlessly integrate with the National Database. We have a certain roll-over period. This will also be a very big technological innovation which will simplify the process of driving license issues, verification, and transfer of ownership across the states. For example; when a person gets transferred from Pune to Bengaluru, the transfer of vehicle ownership itself takes a year. These are the features which we are going to build into the Act, and they have to necessarily be accompanied by technological innovations.